The Garmin GTU 10 has been discontinued by the manufacturer. The best alternatives are the Tagg Pet Tracker , Gibi Pet Tracker, Tractive Pet Tracker, and the Whistle GPS Pet Tracker. 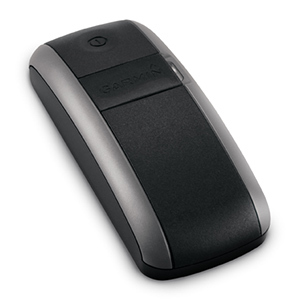 The Garmin GTU 10 is a cell based tracking device best used in urban areas where cell phone reception is available. Like the Zoombak, in addition to being used to track your dog, it can also be used to track your children, car, or any other property that is portable. The GTU 10 is small (3″ length, 1.3″ width, 0.8″ height), lightweight (1.71 oz. ), and waterproof. The battery life is 1 day to 1 month, depending upon the operation mode selected. The unit comes with a case which has a velcro fixing to easily and securely attach the device to your dog’s collar. It can also be attached with the carabiner clip which comes with the system. A unique benefit not found on the other tracking devices, is that your new GTU 10 comes with a free year of Standard GPS Tracking, so you’ll be ready to go once you register and activate it in your Garmin account. There are no activation fees, early termination fee, or contracts. You can view the location of your GTU 10 on a map from the friendly confines of your computer or query its position on your smartphone. For an added level of convenience, you can download the free Garmin Tracker™ app for your mobile device to compare your current location to the direction and location of your GTU 10. The app is available for your iPhone, iTouch, iPad, and Android. Create up to 10 geofences (virtual boundaries) for your device. When your GTU 10 enters or exits a geofence, Garmin can send you an email or text message notification. View track history of where your GTU 10 has been. Customise device settings for optimal performance, including low battery/powered off notifications to let you know when it’s time to recharge or when the device has been turned off.